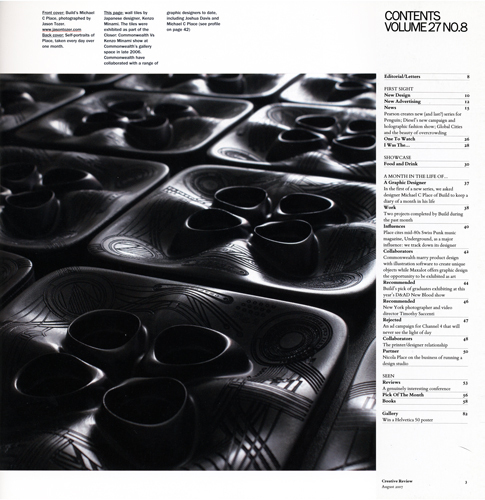 Special Edition of Creative Review Magazine tracked the professional life of Michael and Nicky Place and their design practice, 'Build' for a period of one month. 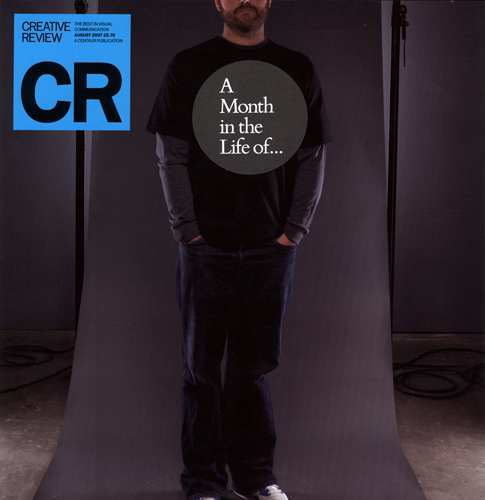 Creative Review's position that 'Design is a collaborative profession' took them to interview us as well as some old-master influences from the past. 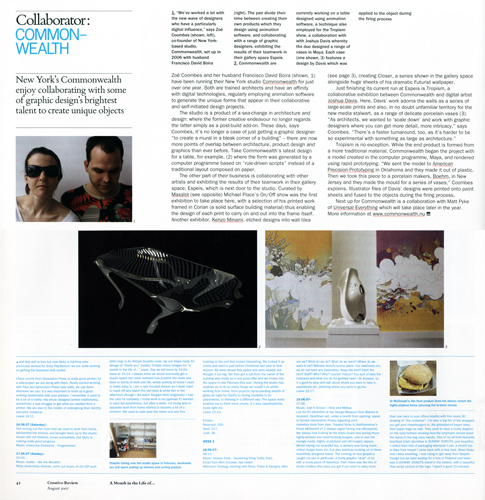 "Zoe Coombes and her husband f.David Boira, have been running their New York studio for just over one year. Both are trained as architects, and have an affinity for digital technology regularly employing software to generate unique form. The studio is part of a sea-change in architecture and design: where the former creative endeavor no longer regards the latter simply as a post-build add on." -Mark Sinclair for Creative Review.